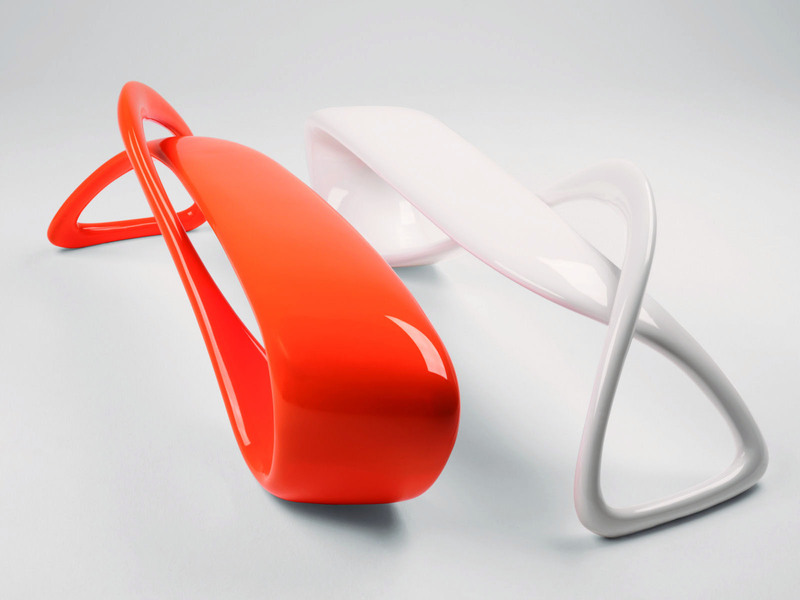 Ultra Modern Sculptural Entryway Bench with Contemporary Design Curves, White or Orange. The E-Turn Bench was designed by Brodie Neill for Kundalini in Italy. 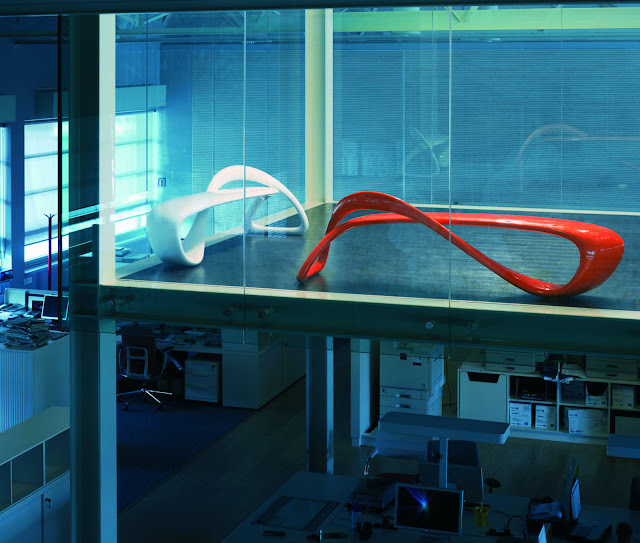 The E-turn is a sculptural bench entirely handmade in lacquered fiberglass that represents the state of the art 3D modelling. As the result of exploring an endless line in 3D space, Kundalini's E-Turn Bench embodies a continuous morphing ribbon that twists and turns from seat to structure, before overlapping and returning again in the configuration of a seat. 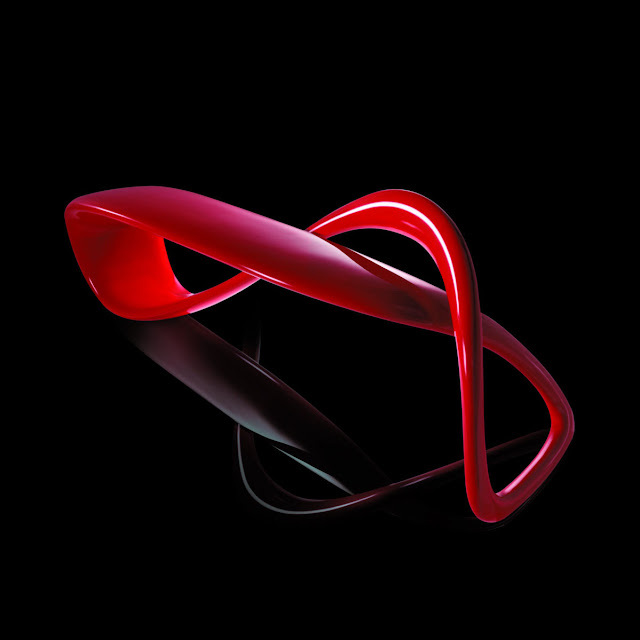 E-Turn, referring to eternity, dramatically transcends width and dimension as it wraps into its Moebius-like form. Overall the piece displays vibrant sections that emerge as quickly as they retreat making for dynamic formations from all angles. 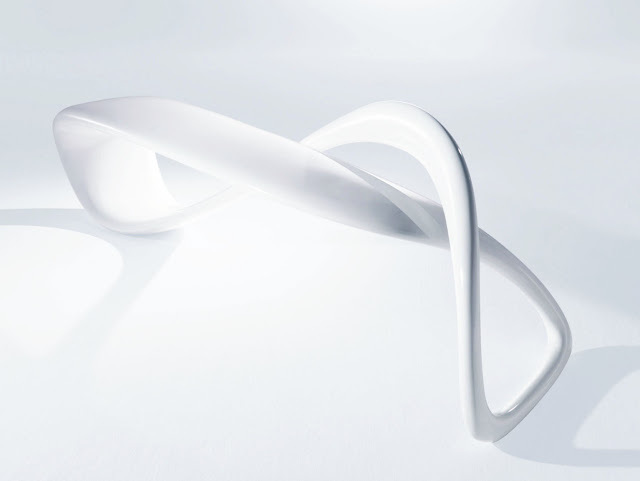 Kundalini's E-turn bench emphasizes the use of complex curvilinearity and the smooth transition between elements to effectively re-invent the balance between furniture and the space it occupies. The Kundalini E-turn bench is perfect as an entryway bench or as an accent piece in any refined interior. 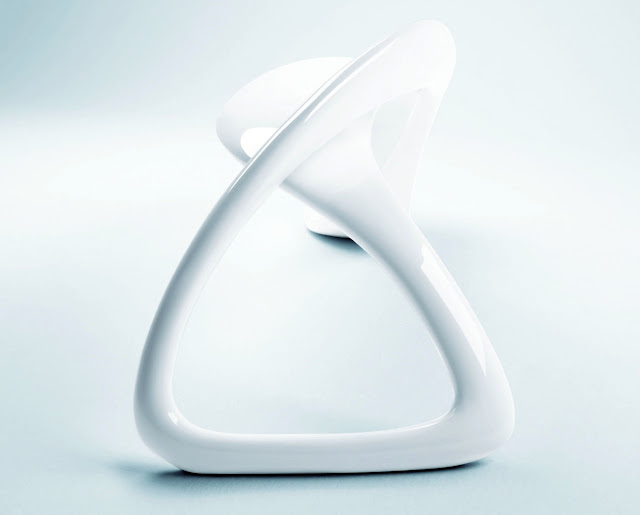 Stardust offers the Kundalini E-turn Modern Bench by Brodie Neill at guaranteed low pricing and free shipping. 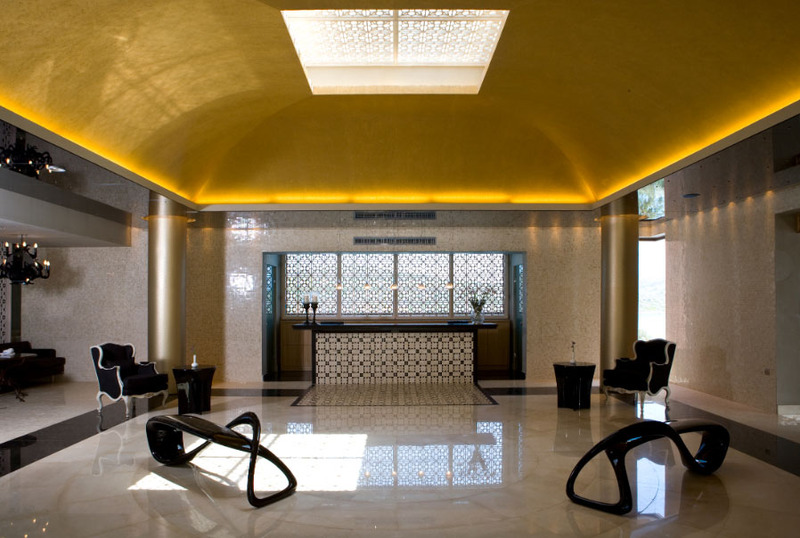 Our knowledgeable Kundalini experts will be pleased to assist you with any questions you may have about the Kundalini E-turn Bench. The E-turn bench is part of the Kundalini modern lighting and furniture collection. 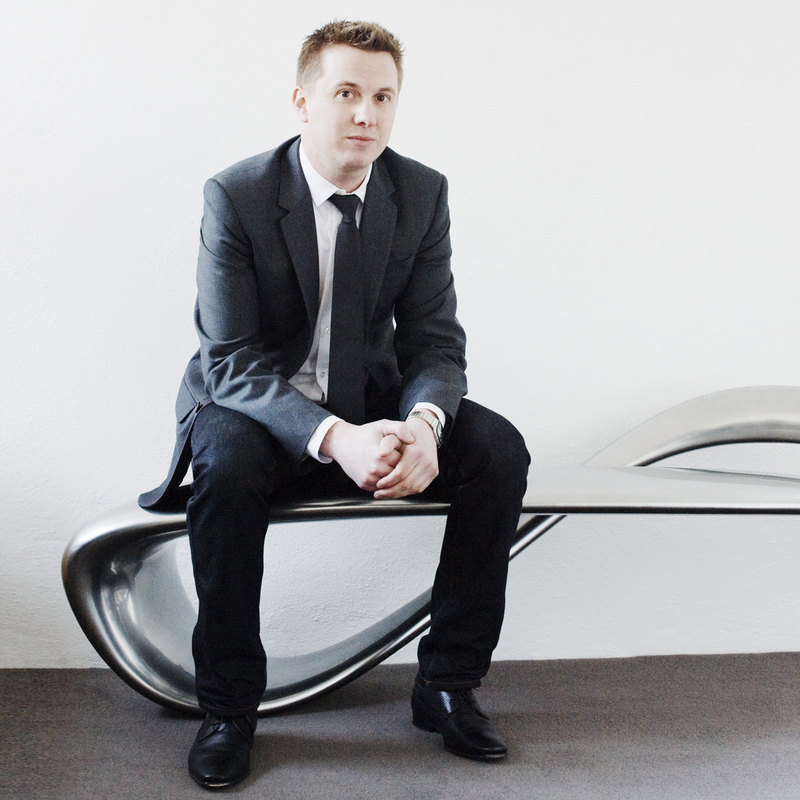 The e-turn bench is made in Italy.